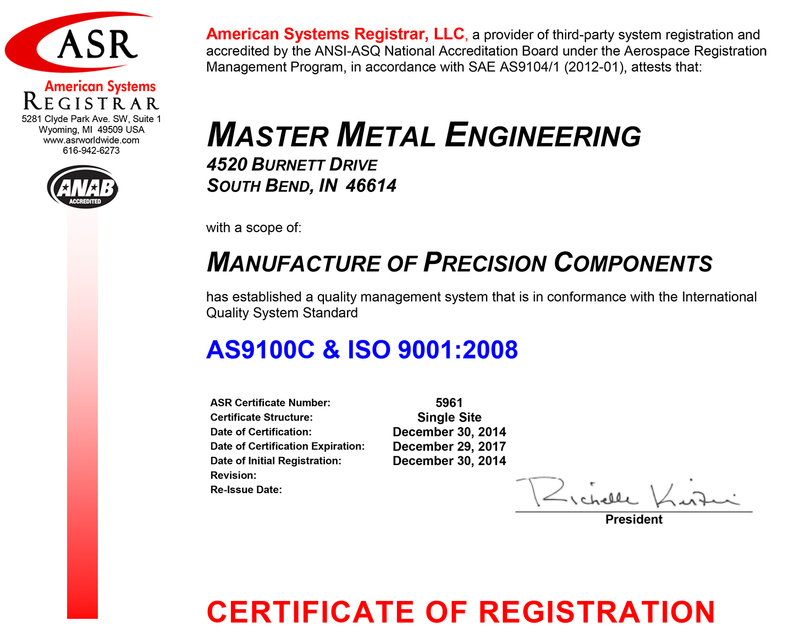 It is the policy of Master Metal Engineering to serve our customers with the highest quality products in the most efficient manner on a timely basis. We are committed to continuous improvement through the use of modern technology in an environment that promotes creativity and participation from our most valuable resources, our people. 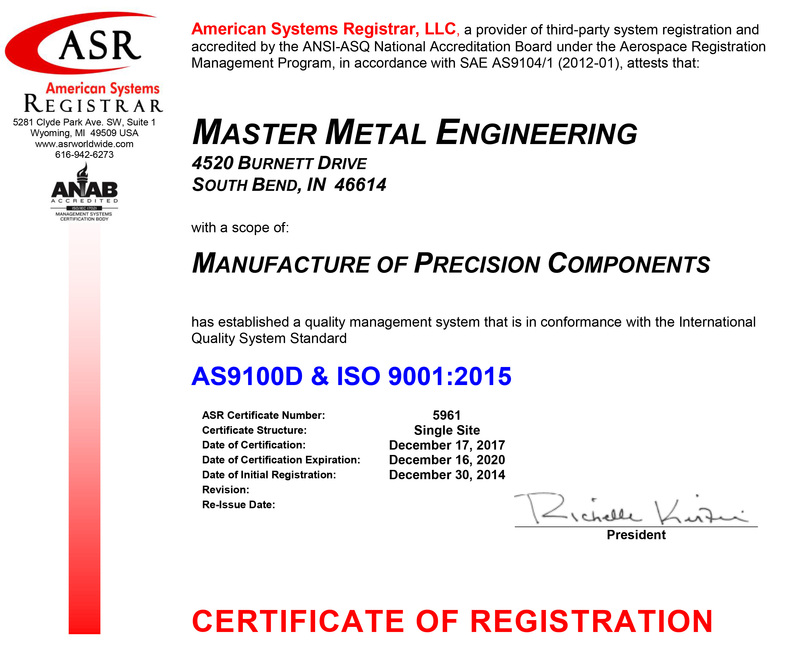 In pursuit of obtaining the desired quality levels, it is the intent of Master Metal Engineering to assure the customer needs are of the utmost importance to this organization. We determine these needs with open communication and a commitment to listening to our customers. Products offered to the marketplace consistently meet our customer’s expectations as supplied to us through applicable contract requirements or specifications. The latest available tools, techniques and processes are frequently examined. Continuous improvement in efficiencies is monitored throughout various levels of the organization. Product is provided by the required date by providing the necessary resources needed to ensure conformance to customer delivery requirements. Participation from employees is encouraged by providing a forum for feedback and issue resolution and by keeping company personnel informed on relevant business issues. These quality objectives are distributed to each employee and are discussed during training and orientation sessions. Questions regarding these objectives may be directed to either the Quality Manager or the President.